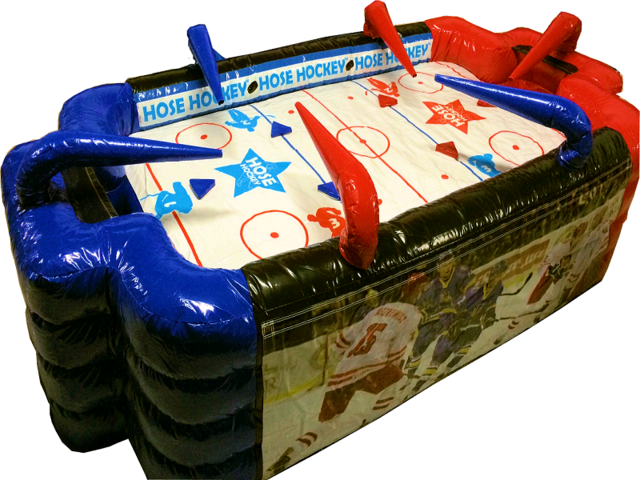 It’s not just air hockey, it’s hose hockey! Twice as much fun, and twice as much air! Use the air hoses to shoot the plastic ball around the “rink” and into the other teams net. Up to 6 players at a time.